The European Union Advisory Mission Ukraine (EUAM) representatives participated recently in a meeting of the State penitentiary Service Community Council. 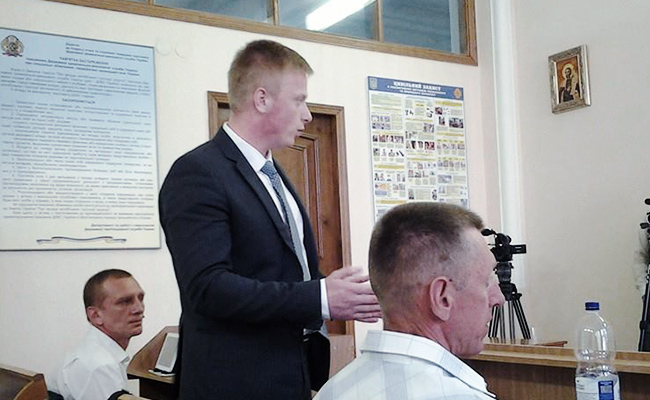 EUAM Penitentiary Senior Assistant Vadym Chovgan recommended to the Service the following: First, to change the current practice of using informal criteria to attribute conditional release to prisoners. Currently, prisoners are not released because of “too long a sentence”, although it has no basis in the law, which, on the contrary, provides possibilities for release in such cases if 3/4 of sentence is served (compare to 1/2 and 2/3 for less serious crime). He also recommended to improve disciplinary practices in prisons so that they can efficiently deal with cases where there is a need to protect individual safety of prisoners. Lastly, he recommended to arrange a meeting of interested national actors who are responsible/interested in transferring of prisoners held in prisons in the conflict zone to Ukrainian-controlled territories. The Community Council voted for his recommendations. The Council also decided to arrange a meeting of the Contact Group responsible for arranging evacuation of prisoners from the conflict zone with responsible national actors in a view to initiate the process of transferring prisoners.